Amelanchier in full fruiting glory! I found these at the southwest corner of Elston and Webster. Amelanchiers are easy to grown and found all over the city. There are a few different species. The fruit is delicious and pest-free. Try to beat the birds to them, you won’t be sorry. Think I’m the only one who thinks so? 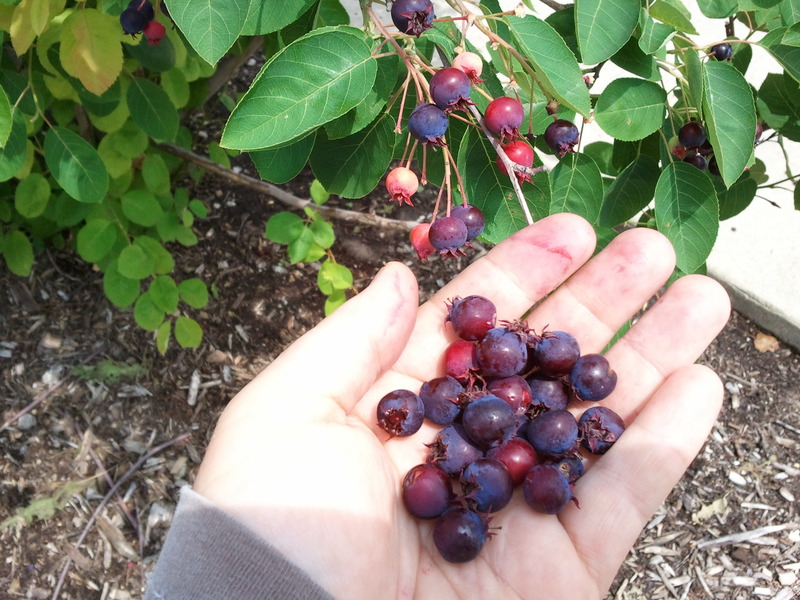 Check out what this urban forager has to say. Previous Previous post: Where did our fresh vegetables used to come from?